This is an LP to bounce along to, whether it’s in your car or in your bedroom. 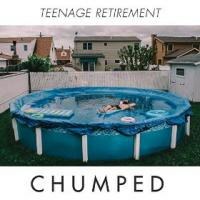 Brooklyn-based quartet Chumped have stirred quite the potent blend of ‘90s indie rock meets pop-punk on their debut album, Teenage Retirement. Without seemingly devolving into cliché, this is music that cassette tapes were made for. The record is like a secret, something you would clandestinely pass around at the locker of your high school 20 years ago. All of the elements for delectability are there: the honeydew female vocals, the Nirvana-esque guitar and drum sound, the looseness of playing that simultaneously doesn’t feel sloppy. What’s more, Teenage Retirement feels constructed well as a whole, as sometimes the songs bleed into one another. There’s a sense of giddiness in these songs, and that makes Chumped a cut above the pack. The band additionally has a carefree feel in its choice of song titles: “Hot 97 Summer Jam”, “Novella Ella Ella Eh”, and “Songs About Boats”. Plus, there’s a sense of the thrashy in many of these choice cuts. All of this converges to make Teenage Retirement a propulsive listen, one that recalls the glory days of indie rock while moving forward with heft and grace. There are flourishes here and there of shoegazer, but they’re just subtle enough to not get in the way of the band’s alt-rock sound. Basically, this is an LP to bounce along to, whether it’s in your car or in your bedroom. Lick after lick, Teenage Retirement is a bonafide enjoyable album, and the merging of various strands of music works well for the group. Let’s just hope that there is no retirement after this one. Chumped need to get in the hands of as many people as possible so they can enjoy the sweet wave of nostalgia meets the present that this outfit so nimbly invokes.